At The Redwood Riverwalk Hotel in Fortuna, California, our accommodations reflect the beauty that surrounds us on Humboldt’s Redwood Coast. We take our inspiration from the allure of the redwoods, the serenity of the state parks, and the stillness of the old-growth forests. The pride we feel for the area extends to the way we care for our guests as well as our environment. 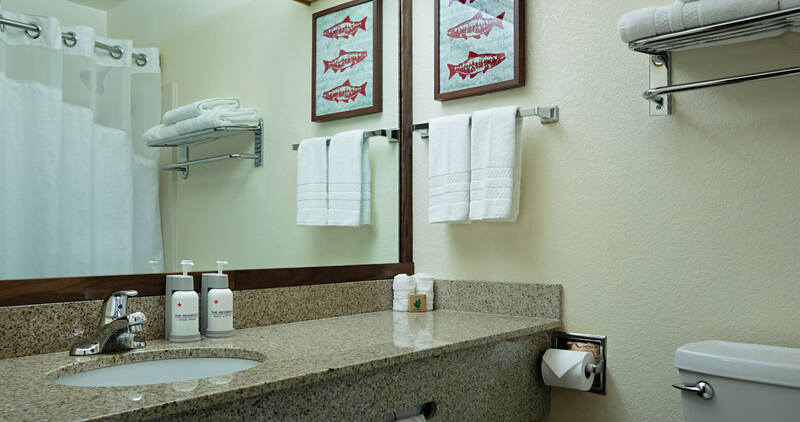 We provide green-friendly lodging, using chemical-free cleansers and eco-friendly bath amenities in our guest rooms. 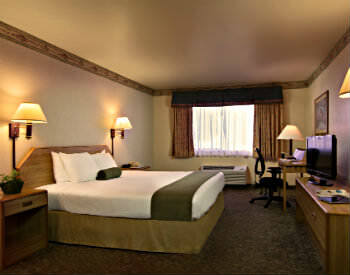 Our guest rooms, decorated in relaxing earth tones, are clean and comfortable. Unlike in cookie-cutter franchise hotels, our decorations are thoughtfully chosen to enhance your sense of place. 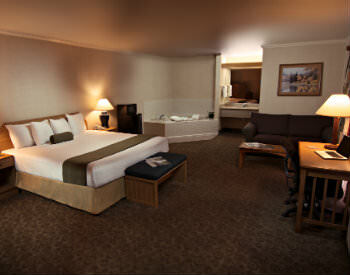 All rooms are a king or queen-size bed. We make every effort to be accessible for all guests to enjoy, and therefore our hotel amenities and public spaces meet the requirements of the American with Disabilities Act (ADA). In addition, we offer a wheelchair accessible path of travel to and into the hotel entrance, and an accessible check-in reception counter. Our breakfast room offers accessible dining options and our public restroom meet ADA requirements. Should any guest desire to request accessible transportation, simply dial the hotel front desk and we will be pleased to arrange for an accessible car service. Please click on the individual room below to read more details and to find the perfect accommodation for your stay at The Redwood Riverwalk Hotel.